Being a herper from days long ago I was certainly aware of the potential for finding special squamates in the land of spectacular and dangerous reptiles. But, with little time in the right habitats, I did not get my hopes up for finding much. As Collin and I were making our way south, we stopped at a bridge that crossed a stream that drained the tropical rainforest we were driving through into the Tasman Sea. 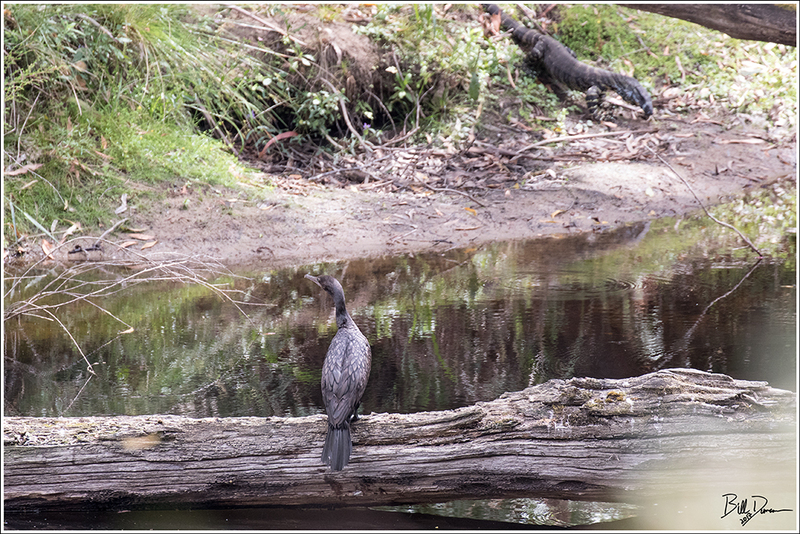 As I watched and photographed a cooperative Little Black Cormorant, I picked up some motion on the other side of the stream. Out of the vegetation lumbered this huge varanid, a lace monitor! 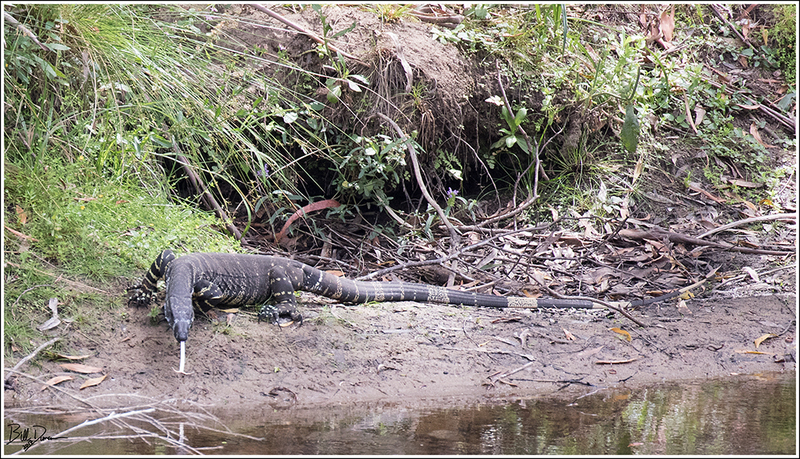 The lace monitor is the second largest monitor in Australia and this individual was a full-sized adult. I estimate its size at 4.5 – 5.5 feet in length. 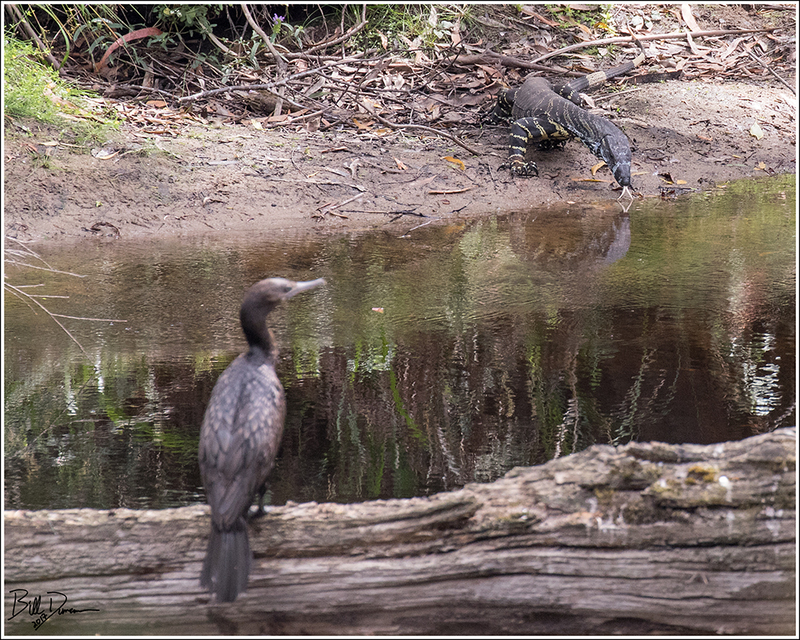 I’m sure the monitor could have made a nice meal of the cormorants, but none of the few birds that were within viewing distance appeared to be too concerned. 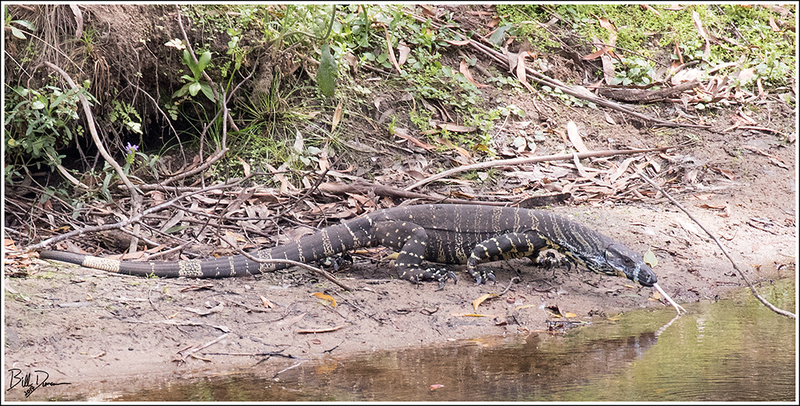 The lizard took a small drink and then continued downstream before being lost in the vegetation. What a treat!